This recall involves Norwood Furniture’s science tables. 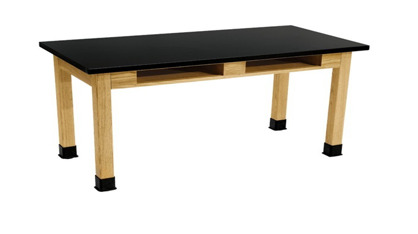 The rectangular tables have a black laminate finish tabletop with a light brown hardwood base and four legs. There are black floor grips at the bottom of each wooden leg. The table has two rectangular, front open compartments. The affected products include item numbers, NOR-PIH1027-SO for the 24” W x 48” L x 30” H table, NOR-PIH1028-SO for the 24” W x 54” L x 30” H table and NOR-PIH1029-SO for the 24” W x 60” L x 30” H table. Consumers can locate the item number on the underside of the tabletop which is listed with the Commercial Furniture phone number, the OCI# and Country of Origin:China. There have been eight reports of instability of the tables, three of which are reports of the legs splitting. No reported injuries. Customers should contact School Outfitters to set up repair appointments with installation experts to replace the legs on all affected tables free of charge. School Outfitters is contacting customers directly. Online at www.schooloutfitters.com from June 2013 through September 2013 for about $190 to $220. Angelcare® Monitors Inc., in cooperation with consumer product safety commission, is announcing a voluntary recall to provide cord covers for Movement and Sound monitors sold with sensor pads. HAZARD: The cord attached to the baby monitor's sensor pad that is placed under the crib mattress, can present a potential strangulation hazard if the child pulls the cord into the crib and it becomes wrapped around the neck. 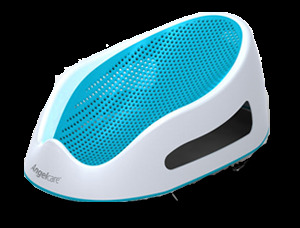 - or visit the safety notice section on the firm's website at http://angelcarebaby.com to order the free sensor pad cord cover kit.